This level have normal difficulty and you need to play with bottom of the board or near to blockers to break them. First try to play more from bottom so candies will shuffle every where then break blockers so ingredients wont stuck on it. 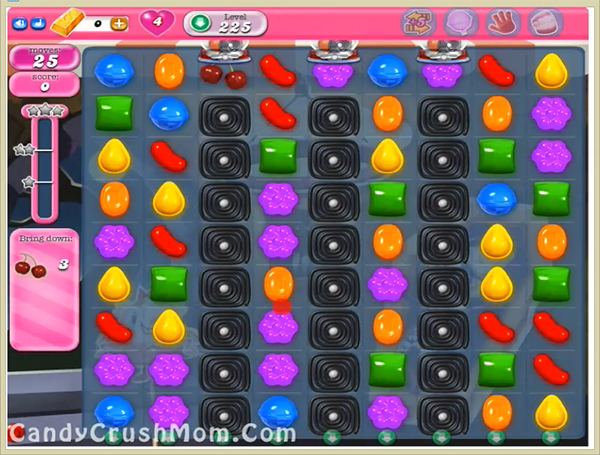 Then try to play with special candies so ingredients could come to bottom within 25 moves. We completed this level with 58760 score using special candy and above tricks that help to complete this level with two star score.